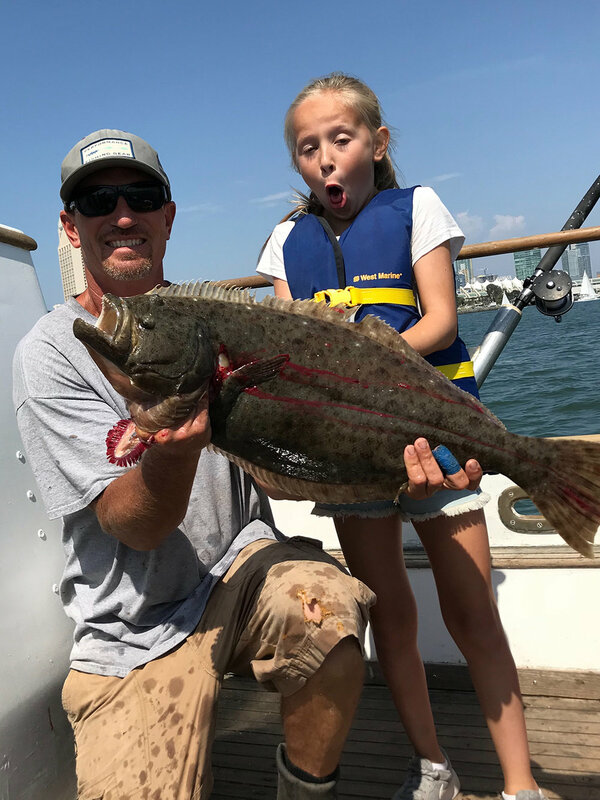 San Diego offers world class fishing, inshore and offshore, from the novice looking to catch their first fish to the seasoned trophy hunter looking to set a personal best record. Read on to learn more about our fishing charters. Offshore fishing excursions are generally at least 8 hours and target tuna, dorado, yellowtail, marlin, as well as the many types of delicious rockfish our fishery provides. Read on to learn more! WHALE WATCHING- Great for families! Travel just outside the bay during the annual California Grey Whale migration and the opportunity to experience these amazing creatures is something that won’t soon be forgotten. BAY CRUISES- Great for families! A San Diego Bay cruise is one of the best ways to experience the unique beauty of our city. Find out why this is our most popular offering for families & small children. All charters include snacks & drinks. Every one of our charters offers you the chance to breathe in the fresh ocean air as we explore the vastness off the San Diego bay area. If this is your first visit to San Diego, read on to find out why we love living here so much and are happy to call this our home. Lady Grace is a 36’ Grand Banks Heritage Classic, the iconic first model produced by the respected company still building first class boats today. Read on to find out more about her amenities. We’ve had some really epic trips and our clients always leave happy, refreshed and maybe even with a prize or two if they booked a fishing charter. We are sure you will enjoy hearing what some of our past visitors had to say! We have fun. LOTS of fun- and we love to blog about it! Our blog features highlights of our latest trips as well as helpful information that will help you get the most fun out of your San Diego Charter experience. We are excited to host you and share the beauty and thrill of a charter experience around the San Diego bay area. We are also available to answer any questions you may have in your decision of booking a trip.